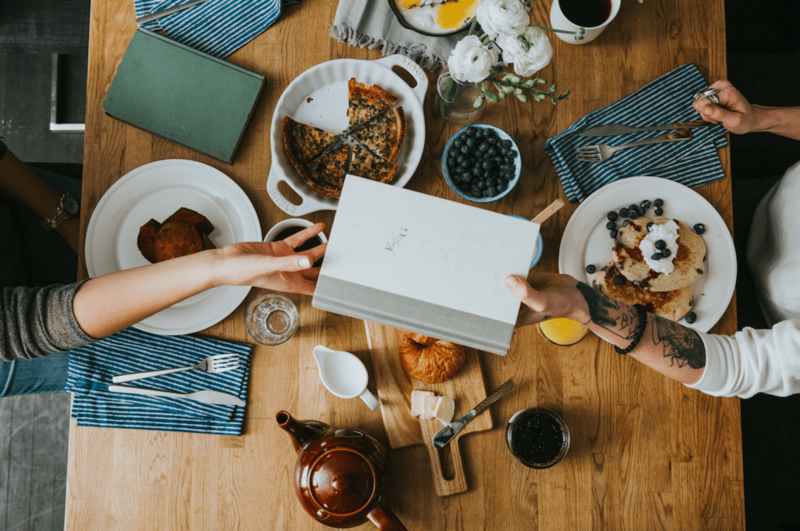 BooknBrunch was launched by sisters Zuzana Drakul and Daniela Kelloway, whose mission was to reconnect the world IRL through books and food. Their unique platform is the first of its kind, combining the traditional book club with the restaurant and hospitality industries, creating one authentically social experience. BooknBrunch allows you to organize and host book club meetings or workshops wherever you want and select from a diverse community of local restaurant owners or venues to partner with. Members choose from a selection of book club events and experiences, while hosts earn extra money doing what they love–reading and eating! 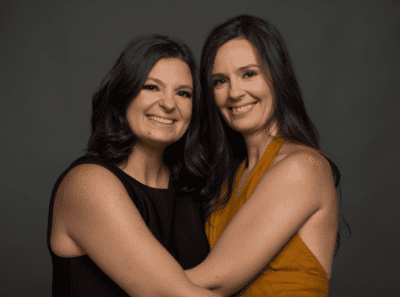 With an ever-growing number of apps and virtual experiences designed to keep you glued to your phone, these sisters were determined to shift the focus back to old-fashioned human connection. We caught up with Zuzana and Daniela this week. SDTC: What prompted you to start this company? Zuzana: I just came out of a five-year relationship, lived out of the city and wanted to reconnect with people. I was feeling disconnected and super lonely. I was finding it really difficult to make new friends after the age of thirty. I decided to start a book club as a way to reconnect with my family and friends. I did not want to host the book club at my house as I had temporary living arrangements, so I decided to brunch around the city as a way to rediscover it. I started with my family and created really fun and curated experiences. People enjoyed attending and loved the fact that everything was organized for them. They loved that they got to meet monthly and had something to do in real life. Word spread to different groups of friends and I could not accommodate everyone’s needs. Daniela: I saw the impact that my sister’s book club had on her health, her relationships, her career and her general lifestyle and mindset, and I knew that we need people to understand the power of a social ritual, of human connection and of a growth mindset. A.B.L. (Always Be Learning) is one of my personal mantras. That’s why I jumped at the opportunity to partner with my sister and take on the challenge of a start-up while running a PR firm and being a mom. If we can help people meet a new friend, engage with more reading and reconnect with something inside of them, that is the kind of amazing work I want to be engaged in. Basically this is all the things I love: books, reading, eating, restaurants, friends, conversation. Z: Book and food lovers sign up for free to become a member (Brookie) of our community. Members can purchase a ticket from a unique selection of book club events and experiences. Events are ticketed and free, private and public. The members read the book, meet in real life at the venue, eat, and have meaningful conversations. How do you go about choosing the books and venues? Z: We choose our books based on feedback and suggestions from our members. We support local communities of authors and feature independent authors. Hosts can also select their own book of choice for their event based on their interest. We choose the venues with the mindset of supporting local businesses and helping them grow. We all grow by supporting each other. What can people expect from your events? What kind of feedback are you hearing from participants? Z: Our events are an intersection between a book club and a food club. [They] range from casual, fun book club meeting to workshops paired with culinary experiences. Our events are about connection, hanging out with your community or meeting new friends in real life. Our hosts are using their superpowers and skills to put on the best events they can. We’re seeing lots of apps and platforms that aim to connect people IRL. Why was it important to you personally to produce this type of experience? Z: The BooknBrunch platform is many facets of my personality and my daily mantras. I am the happiest when I get love from my tribe and community. I love to be inclusive and make people feel welcome when they are new a city or want to make new friends. My well fills up most when I get to hang out with my community in real life and do what we love, discuss, discover new things, connect and make it a ritual. I wanted to bring this feeling of discovery, connection, rituals with surprise and delights along the way to the masses with a book and surrounded by food. D: People crave connection. We have it virtually but in reality how often do we see the ones we love? How many hugs do you get a day?! Hugs boost oxytocin levels and strengthen your immune system–you need eight of them a day. Creating a platform that helps people get out more, read more and meet people more plus encourages growth–that is really important work. Were there any challenges in getting BooknBrunchoff the ground? Z: There were many challenges. The first was believing in myself and knowing that I can do it. We were creating a platform from the bottom up with little to no experience in the area of the commerce world. Having to finance the company ourselves and the challenges surrounding what is the best use of our resources to ensure we put forward what we think people will care about when it comes to the platform. What gives us the best effort with our resources and prioritizing that. D: Juggling being a mom of three with several businesses on the go is not for the fainthearted. Sometimes you win, sometimes you lose but you always learn. This is my way of saying mom life and startup life is a crazy wild roller coaster. Is there a piece of advice you’ve been given–professional or personal–that has helped to guide your journey? Z: If you love something, the rest will come. Being a good leader is making everyone successful around you and helping them grow. Ride the wave. Enjoy the journey. Trust your gut. Work harder than everyone else. D: Don’t take criticism from someone who hasn’t built anything in their lives. Show expressions of love to your partner daily. Don’t sweat the small stuff. Kill them with kindness. Give give give. Meditate.